Katy Perry's new single, called E.T., featuring Kanye West, premieres on MTV and MTV.com on Thursday, March 31, 2011. The video, which according to Katy Perry "doesn't play it safe", is directed by Floria Sigismondi, whose previous work includes music videos for artists such as Bjork, Christina Aguilera, David Bowie, The Cure, The White Stripes, Marilyn Manson and Muse. 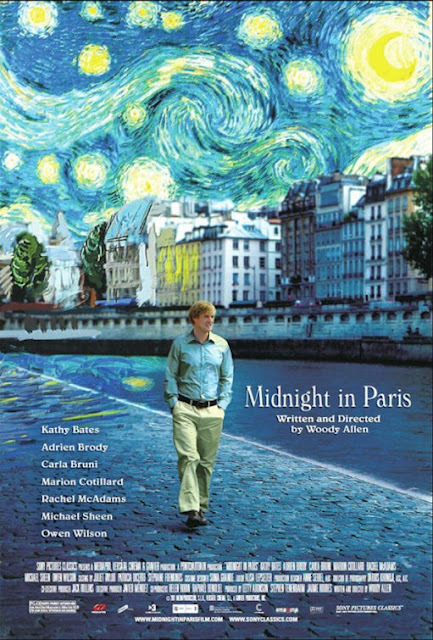 Woody Allen's new movie, called Midnight in Paris, will premiere at this year's Cannes Film Festival on May 11th. The breezy romantic comedy is about "a family traveling to the French capital for business. The party includes a young engaged couple forced to confront the illusion that a life different from their own is better." The movie stars Owen Wilson, Marion Cotillard, Rachel McAdams, Kathy Bates, Michael Sheen, Adrien Brody and Carla Bruni. Check out the trailer below (and scroll down for a new Tree of Life movie poster). Tom Hanks returns to the big screen with a film that he directed, co-wrote and co-produced, called Larry Crowne, to be released in the US on July 1st, 2011. The movie stars Tom Hanks and Julia Roberts, alongside Bryan Cranston, Cedric the Entertainer and Taraji P. Henson. For full cast and crew list, go here. Wow. Atelier Versace's lookbook is, once again, a thing of beauty and artistry. I can't say I'm normally a huge Versace fan, but when it comes to Atelier Versace's lookbook I'm often left speechless. If you're into fashion, you know what I mean. We have seen some of these beautiful gowns on the red carpet during the awards season, but here's a chance to take a closer look at all of them (20+ pics right below). 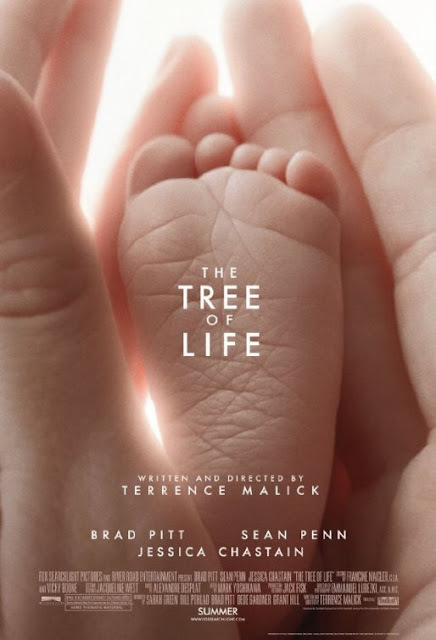 "From Terrence Malick, the acclaimed director of such classic films as Badlands, Days of Heaven and The Thin Red Line, The Tree of Life is the impressionistic story of a Midwestern family in the 1950′s. 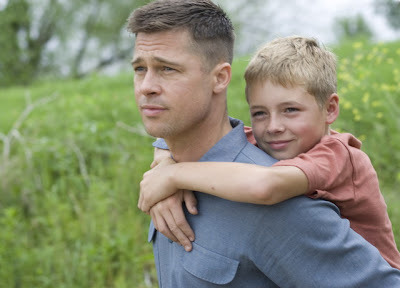 The film follows the life journey of the eldest son, Jack, through the innocence of childhood to his disillusioned adult years as he tries to reconcile a complicated relationship with his father (Brad Pitt). Jack (played as an adult by Sean Penn) finds himself a lost soul in the modern world, seeking answers to the origins and meaning of life while questioning the existence of faith. Through Malick’s signature imagery, we see how both brute nature and spiritual grace shape not only our lives as individuals and families, but all life." US release date is May 27th, 2011. The movie will open in the UK on May, 4th. Gwen Stefani covers ELLE UK (April 2011) and she looks great as usual. Here are some interview excerpts and of course, the lovely photos. Now that the awards season is over, we can resume whatever we were doing before the TSN vs.TKS showdown (that is, The Social Network vs. The King's Speech). Therefore, one of the things that's been M.I.A. on this blog, namely The Weekly Roundup, is now back in all its glory. Music: A lot of nice singles have surfaced lately (scroll down for a list of recent releases), which is a good thing after all that January blah and the slow movement that we usually see at the beginning of a new year. The very talented Adele is having the time of her life right now: she hit no.1 in both UK singles and UK album charts and across the pond, where she has debuted at no.1 in the US album chart, how about that? 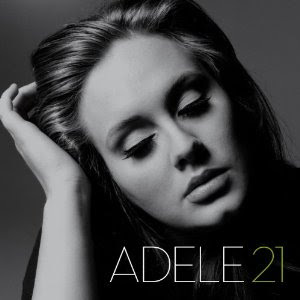 Her current single, Someone Like You, became huge following her great performance at the BRIT Awards last month. It's a beautiful, stylish, goosebumps-inducing ballad and you can see the much-talked about live performance from the BRIT awards here or you can listen to the album version here, just to compare. 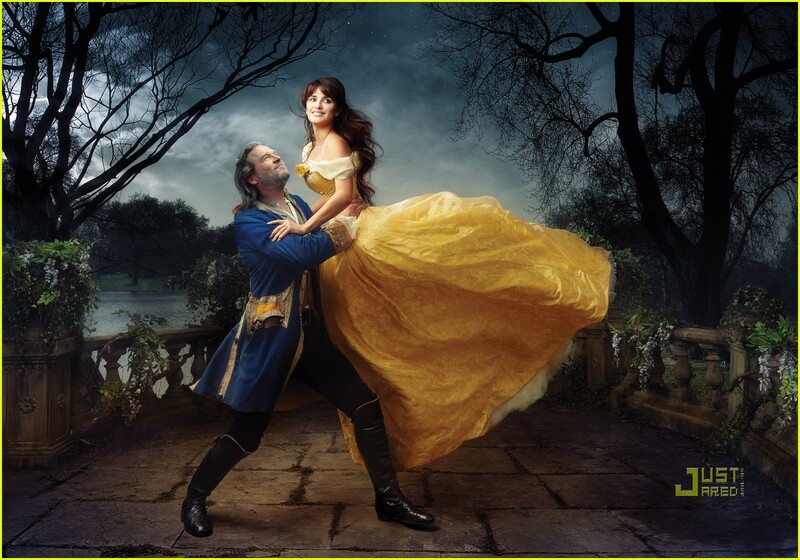 Renowned photographer Annie Leibovitz does great work once again with the new “Let the Memories Begin” photo series from Disney Parks, featuring celebrities as Disney characters: Penelope Cruz and Jeff Bridges as Belle and the Beast, Olivia Wilde as the Evil Queen in Snow White, Alec Baldwin as the Magic Mirror and Queen Latifah as Ursula from The Little Mermaid. What do the new faces of Burberry have in common? They both have famous parents: music legends. She's the daughter of singer/songwriter Annie Lennox (remember Eurythmics?) and he is Bryan Ferry's son (do Roxy Music or songs like Slave to Love ring a bell?). Kate Winslet graces the cover of Glamour Magazine (April 2011 issue) and she's looking gorgeous. We haven't seen much of her since she won the Oscar, but she's definitely coming back this year with movies such as Contagion (directed by Steven Soderbergh), Movie 43 and she's also rumored to star in Americana. She is currently filming Carnage, a Roman Polanski movie, due to be released in 2012.